Mighty Bright Orchestra Light features 9 bright white LED's rated for 100,000 hours, capable of lighting 4 full pages of sheet music. Specifically designed to be discreet, its built in back fin directs light away from the audience. 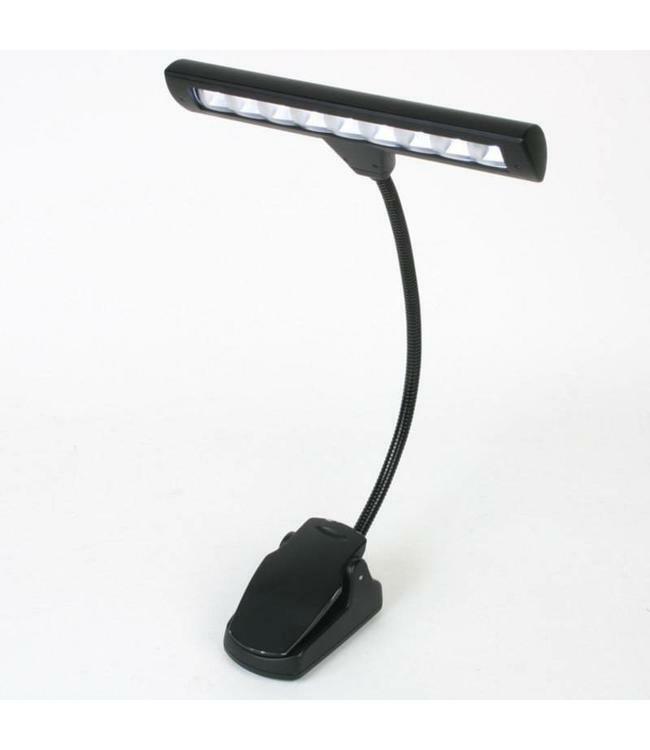 It has a sliding power switch with two brightness levels and its cushioned extra-strong clip provides a secure grip on music stands. Powered by 3 AA batteries (included) with a battery life of 14 hours, or AC power adapter (included). Includes a durable travel case as well.